In an era of technological innovation and rapid development, Blade is considered as one of the leading manufacturers of drone technology. That is one reason why you have heard a lot of buzz about Blade drones. 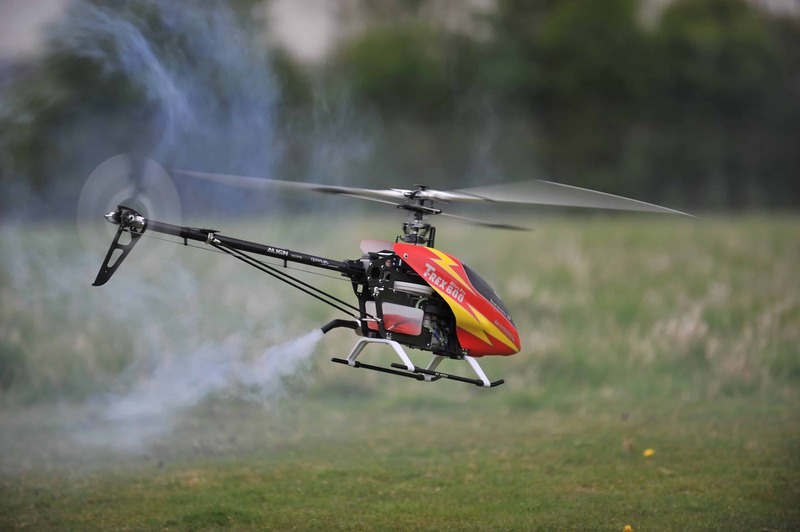 A subsidiary of Horizon Hobby, the international hobby RC product distributor based in the USA, Blade offers a multitude of drone types of all skill levels. Beginners, hobbyists, professional photographers, pro racers – there is a Blade drone for everyone who needs it. The wide selection of drones (single rotor, quadcopter, fixed wing, RTF, ATF, you name it!) makes Blade one of the most inclusive manufacturers in the market. Besides the wide range of drones that Blade presents, what else makes this manufacturer stand out from the considerable market for drones? What does Blade offer to drone pilots that few companies can? What makes Blade so special? Well, we can answer all of that and more, dear reader, so stick around to learn more about the popular Blade drone. And, if you keep on reading, you will also learn a thing or two about the most important part of any drone: the propellers. Flying has never been easier with Blade drones’ SAFE technology. SAFE, exclusively trademarked by the manufacturers, stands for Sensor Assisted Flight Envelope and is meant to protect your drone from crashing. 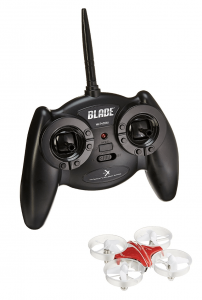 Blade is known for its highly advanced SAFE tech that allows drone pilots of all skill levels to fly as safely as possible. SAFE technology keeps your drone flying steady, even in windy weather. The pitch and roll limits are safely locked so that you will be able to have better control of your drone. The electronic self-leveling feature of a Blade drone allows you to take better and more stable images and video clips. This feature positions the drone to a hover the moment you release the control sticks. If the Blade drone’s stability and versatility seem like the perfect combination for your first or your latest drone purchase, we have helpfully compiled a list of just a few of the most popular Blade drones you might like. First off we have the tiny drone that can do big things. 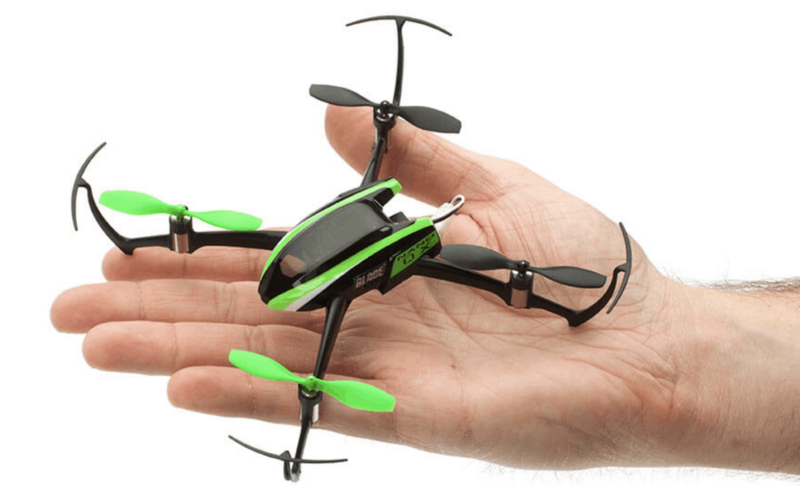 Blade’s Industrix Ultra Micro Drone is a palm-sized quadcopter. It was designed to be more durable and fly quieter than other competing drones in the market. The Industrix can be flows indoors and outdoors, with four Electric Ducted Fan (EDF) rotor system that make flying smooth, steady, and silent. Unlike the old propeller system which can make a lot of noise when powered on. You can expect stealthy flying with this tiny Blade drone. This micro drone is also well protected with strong rotor housings that ensures the propellers will not be damaged in the event of a crash. The rotor housings also make indoor flying extra safe for everyone involved, not just the drone. LED lights are also installed on the body of the Blade drone for immediate orientation reference to help you fly in the right direction. The SAFE tech featured on this Blade drone also helps kids or beginners manoeuvre the Industrix with ease. However, because of the limitations of drones of this size, the Industrix only has a flight time of five minutes so you will need to pack extra batteries before you set out. The E-flite Li-Po battery can be charged with a USB charger though so that is really practical. The Industrix Ultra Micro Drone is easy to use, durable, and, to top it all off, comes at an affordable price for such an advanced piece of tech. 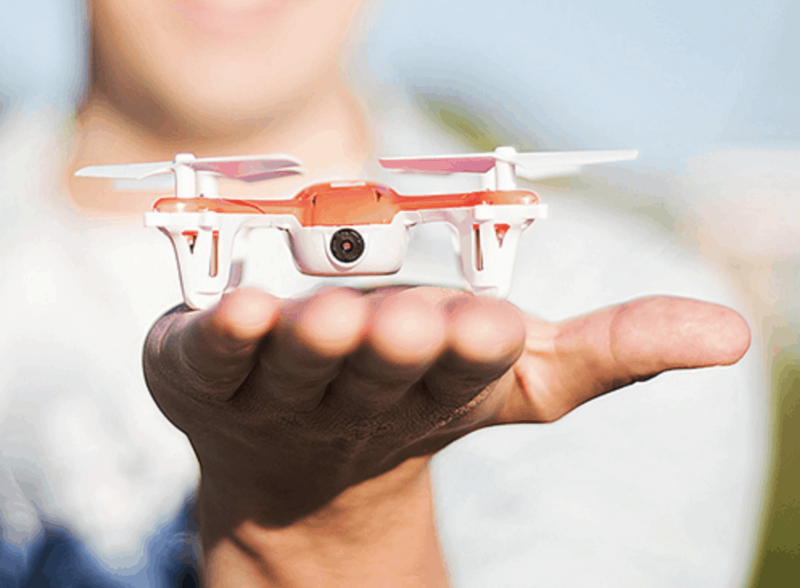 You will quickly fall in love with this incredible little drone. Intuitive, lightweight, and robust, the Blade Glimpse is a perfect starter camera drone for those looking to take up aerial photography and filming. This drone has a simple but mindful design. The rotors are located far from the camera to avoid obstructing the lens. Plastic enclosures keep the propellers safe as well. The Blade Glimpse comes fully equipped with an HD camera with 1.0MP and takes 1280 x 780 videos. Not only does this Blade drone come with First Person View, where you can stream on your smart device live, it also has Team View, which allows more than one person to view the live stream. All you need is to download the free Glimpse app (available in Google Play and the App Store) then you can connect more than one device to your drone. It should be noted that this Blade drone comes at a price. But, if you do not mind spending a little over a hundred dollars on this incredible, reliable camera drone then the Blade Glimpse will be perfect for you. This beast of a drone may not be too ideal for novice flyers. The Blade Mach 25 FPV Racer is built to go fast. It is perfect for drone racing, a fast growing sport among drone enthusiasts. The premium SAFE technology installed allows for easier FPV racing. The SAFE feature on this drone has several flight modes you can utilize for any occasion. The Blade Mach 25 has extremely powerful brushless outrunner motors with canted motor mounts that support quicker acceleration. Its 2mm carbon-fiber frames and aluminium frame support adds durability to the Blade drone body. This is essential when you are participating in a high octane race where accidents and crashes are bound to happen. And if you do collide your Blade Mach 25 on something and shatter the propellers, replacing them is easy with its self-tightening hubs. To help with flight orientation, the Blade Mach 25’s LED lights are strategically placed and offer intense lighting. Though this model comes fully assembled, it does not come with a remote control. Hence, it has its BNF title (Bind-n-Fly). Most racers prefer to build their drone themselves. 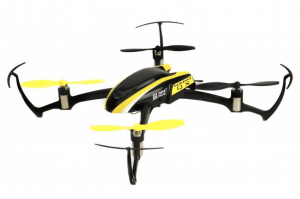 But, if you are just getting into the sport, a BNF drone like the Blade Mach 25 might be more your taste. As long as you have a reliable and compatible remote control for a drone or do not mind buying it separately, this impressive racing Blade drone might be the one for you. 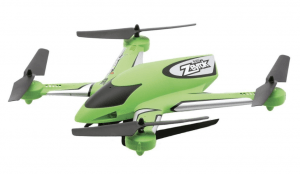 Great for beginners to expert pilots, the Blade Zeyrok is a toy drone that looks as futuristic as it is super fun to use. Blade has really pulled out all the stops with the Zeyrok. It has a next-gen airframe industrially engineered to have a cutting edge appearance that is also tough and durable. Its SAFE technology features multiple flight modes for each skill level so you can steadily build up your confidence in flying. The Zeyrok is equipped with a 1.3MP camera that can take 720p videos. This Blade drone also has a removable 4GB micro SD memory card that you can easily plug into your device to transfer your files. Lightweight and simple to use, this Blade drone is definitely one for keeps. Do you fancy yourself more of an acrobatic flyer? Well, this Blade drone is made for you! 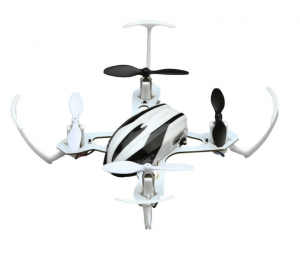 The Blade Pico QX Quadcopter is a small drone that is fully capable of performing flips and tricks. It is just like a prodigious aerial acrobat. What’s more, just about anyone can manoeuvre this quadcopter to do mid-air summersaults, even beginners. The Pico QX is designed with a flip mode function so you need only to push a button to astound and entertain your friends. Propeller guards add extra security to this drone which makes it perfect for indoor flying. The exclusive SAFE technology also allows the new pilot to learn how to fly in just a few minutes. This Blade drone, however, does not come equipped with a camera. So, it is mostly used as a toy drone. And though it only has a typical flight time of seven minutes, charging the Pico QX is incredibly easy. Its internal battery can be charged into any USB port. The Pico QX is known as the smallest heli drone Blade released so far. 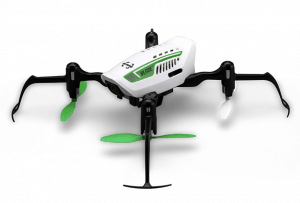 Affordable and compact, this is a Blade drone you will undoubtedly want to keep an eye on. 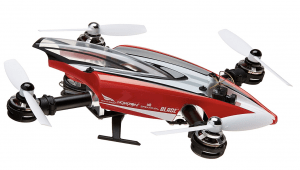 Last, but definitely not the least, we have one of the most sought after Blade drone models, the Nano QX. Small, light, and made out of high quality, durable material, the Blade Nano QX is a drone that just about anyone can fly. This tiny Blade drone is the perfect size for indoor flight and with its sturdy blade guards. It is completely safe too. The Nano QX even has a safe mode which, as the name suggests, makes flying a snap so you can learn the basics of drone flying without too much anxiety. Once you are ready, you can switch to agility mode which makes this little Blade drone fly fast yet still easy to control. Though it is small, it can still handle outdoor flight since it is sturdy enough to take on the elements. Let us talk about the unsung heroes of every drone model: the propellers. The drone propellers are quite possibly the part of a drone that breaks the most often (and the part that can do the most damage). And you do not need to be an expert at aerodynamics and aviation engineering to know that without a sturdy set of propellers, your drone will not fly. You have probably noticed that the propeller acts basically like a fan. The propeller blades rotate at a certain speed to produce enough thrust to lift the drone off the ground. The faster the propellers spin, the stronger it pushes through air, the more thrust is generated. Simple, right? However, as the propellers spin and push through the air, the air pushes back. This can cause counter rotation on your aircraft which is why you will never find a multirotor drone that has propellers spinning in one direction. If drones did that, the counter rotation would negate the propellers rotation. You would essentially have a set of tiny fans. Multirotor drones have two types of propellers: one going clockwise, the other going counter clockwise. On a quadcopter, the most common type of multirotor drone, propellers spinning on the same direction are parallel of each other. Let us briefly discuss the three different types of propellers based on their material. Generally, there are three types: plastic, carbon fibre, and wood. However, wood propellers are not very common these days and as such are difficult to acquire. So, we will not dwell too much on that type. Plastic propellers are more common than carbon fibre. They are flexible, thus last longer. This type of propellers is fairly inexpensive compared to carbon fiber. Although, they tend to have balancing issues. Plastic propellers are also lightweight, which is a major advantage in a drone. However, they do vibrate more in rotation which can affect how the drone flies, and make a lot of noise. Plastic propellers are also easier to break. Carbon fibre propellers are lighter, more balanced, and more durable. You also get less vibration with this type of propeller. Because, it is stiff compared to the plastic propeller and it is so much quieter. However, it is more expensive than plastic propellers and do not generate as much thrust as its plastic counterpart. On a vertical plane, a drone can either climb (ascend or fly up), descend (go down), or hover in the air. To climb, the propellers have to increase thrust until there is a non-zero upward force higher than the weight and gravitational pull. Descending means doing the opposite, just decreasing the thrust of the propellers. To hover still, the combined force of all rotors keeping the drone up must be equivalent to the gravitational force pulling the drone down. Does that seem confusing? Well, just keep in mind Newton’s Third Law of Motion: for every action, there is an equal and opposite reaction. The propellers spin and push down the mass of air while the air pushes up the propellers. Typically, the smaller the drone propeller, the easier it is to accelerate and decelerate your drone. Small propellers (ones that are less than eight inches long) are, obviously, for small drones meant for recreational flying, photography, or racing. The motors for these propellers are also smaller with high kV ratings. Large propellers (over eight inches) take a bit more time to change speed because of its lower kV ratings. These propellers are used on large drone designed for transporting packages, carrying equipment, or some other heavy duty work. Surface area of the propeller should also be considered since it can affect how much thrust is generated. The wider the surface area, the more air is pushed. The more air is pushed, the greater the thrust. However, have a high surface area does come with a cost. The propeller would need more power from the motor. Propellers can have two to six blades. Quadcopters utilize two-bladed propellers because are the most efficient out of the other designs. More than two can seriously affect the efficiency of the drone’s flight capability. Although the more blades there are, the more thrust is produced, the blades can add to the weight and torque generation. Better to go with the simple but efficient two blades. Why do you need to know about the propellers? Simple. The part of the drone that gets replaced the most is the propeller. So, knowing a little more about that small but very important drone part can be helpful. Drone propellers are crucial for a smooth and steady flight. And, at some point, you will need to buy spare or replacement propellers. Therefore, it is good to know what the propeller does. Even if it is just the fundamentals. You know what they say: prevention is better than cure. And yes, this also applies to drones. To avoid damaging your drone’s propellers, here are a few tips to keep in mind. Before you start flying your drone, check for any scratches or nicks on any of the propellers. Light scrapes are not anything to worry about. But, the nicks and chips can cause you some trouble after some time. Chipped propellers increase vibration during rotation and will affect the motor’s performance. They will also cause your drone to lose balance. This can seriously shorten your propellers’ (and even the motors’) lifespan. Feel the propellers for any damage. If there are any noticeable nicks or cracks on the surface or the edges of your propellers, you will need to change them. Invest in propeller guard. If your drone does not already come with propeller guards, look for the right size and shape to protect your propellers from additional damage. Prop guards are also handy for protecting yourself and others from the sharp edges of the spinning blades. Know how propeller works like which direction each of them spin. So that, when you replace them, you will be mounting the right propeller on the right motor. At least once every few weeks (maybe even once a month), remove the propellers and give them a good wash over with a microfiber cloth and isopropyl alcohol. While you are at it, you should also lubricate the motors. this is for you to be able to fly your drone with as little friction as possible. You will be able to get the maximum performance from your drone’s motors if you practice this. And, it is not even very difficult to do either since most drones these days are designed for easy motor access. You can find drone motor lubricant in your local hardware store or even online. Liquid Bearings is well loved by drone enthusiasts because it’s super effective and affordable. It’s odor free too. Give your drone some breathing time after a flight. This is not just for the propellers either. Drones can easily overheat if you use it continuously. And if there is too much heat on the motor and gears, your drone can be severely affected. Let your drone cool down for a while. Give it and yourself a break. As fun as drone flying can be, you should not overdo it either. When travelling with your drone, make sure to keep it in a protective case or container and avoid bumping it against hard surfaces. Propellers are quite delicate compared to the other parts of the drone so they can be the most damaged during transport. Getting yourself a hard drone case can save you some trouble. Fly safely. This is the most obvious advice. Yet, there are still quite a number of people out there that cannot seem to follow what should be common sense. Avoid flying too close to foreign objects or animals. When indoors, stay away from walls, ceilings, and floors. Avoid crash landings at all costs. Things like that. Mind the safety indicators. This is more for your safety really. Propellers can be quite dangerous. And, if you are not careful, you can find yourself lacerated and cut by these rapidly spinning blades. So, you will need to always be aware of your drone’s safety indicators. Know exactly where they are and what they mean. Generally, drones will indicate in some way when it is armed (meaning, ready to fly). Pick up an armed drone and you might accidentally trigger an automatic flight response. The propellers could start rotating while you are holding it and goodness knows what could happen to you. Make absolutely sure that the drone is fully and completely disarmed before you go anywhere near it. When in doubt, read your drone’s user manual. Finally, an advisable practice to do is to keep a flight log. This is where you keep track of your flight time, battery usage, drone condition, etc. When you have a record of like this you’ll know when you should replace parts of your drone. It might seem like too much, especially if you’re a drone hobbyist that just love flying for fun, but it does pay to be extra careful. That’s it. Hope you guys learned a thing or two about Blade drones and propellers in general. We hope to see you again in our next articles. But before you go, you might find our other drone-related guides helpful. Be sure to check them out. ‘Til next time, guys!